This book concludes the three-volume series covering World War II-era German paratroopers and their uniforms and equipment. This time, the contents cover those topics not included in the previous volumes. Initially, the operational history of the German airborne forces between 1936 and 1945 is summarized. This section includes detailed views of more than 45 accurately uniformed mannequins, over half of which were specifically assembled for this project. They illustrate the appearance of German paratroopers from their beginnings in Regiment "General Göring" through the unconditional surrender of the Wehrmacht in May 1945. Aside from the exhaustively covered paratroopers of the Luftwaffe, the approximately 2,000 army and Waffen-SS paratroopers receive their own chapter in this book. Along with rare uniform items, documents and many hitherto unpublished photos are shown here. A further chapter devotes nearly 100 pages to specific qualification and formation insignia of the airborne forces- parachutist badges, cuff bands and specific unit insignia - as well as typical decorations and awards along with their award documents. This volume also presents service record books (Wehrpässe) and pay books (Soldbücher), as well as other personal papers used by the Wehrmacht that were also utilized by personnel of the airborne forces. The chapter also includes a section that covers paratroopers' ID discs in detail. The next chapter contains biographical sketches of 20 paratrooper privates, non-commissioned officers and officers, and shows pertinent items from their estates. These individuals are representative of the approximately 250,000 men who served in airborne units between 1936 and 1945. 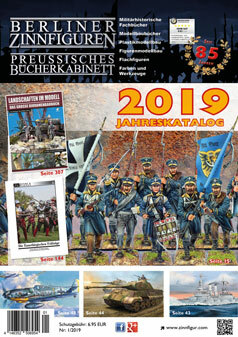 A final chapter includes assorted memorabilia that did not fit thematically into other sections, yet is closely related to the German airborne forces. This volume includes more than 350 period photographs, of which more than 200 have not been previously published. Born in 1970, is the grandson of a German paratrooper and has been passionately interested in history since his earliest youth. Over the years, he began to focus specifically on the course of World War II and the history of the German Wehrmacht. Ultimately, following a longer sojourn on Crete in 1998, he has concentrated on the operations and specialized equipment of the German airborne forces. He accordingly does not just collect any related artifact he can find, but also maintains contact to the dwindling number of World War II Fallschirmjäger and frequently travels to the sites of their former operations - Eben Emael, Gran Sasso, Monte Cassino, Normandy and the Ardennes among others - to gain valuable first-hand insights.